Driving under the influence puts your life, the lives of your passengers, and the lives of others on the road at risk. This is a truth we all know. As an Oakland drunk driving accident law firm, we are dismayed by how many individuals continue to drive drunk despite knowing the dangers. Like many others, we are particularly disturbed to hear about people who drive drunk with children in the car. These cases give rise to (appropriately) elevated criminal liability and we will fight for the rights of children injured or killed as a result of a DUI with child passengers. Last Friday, The Oakland Tribune reported on the case of a babysitter who allegedly drove while intoxicated with her charges in the car. On November 7, a student ran to the principal’s office at Robertson High School to report that she had just been dropped off by Alice Briscoe who was too intoxicated to drive. The student told school officials that Briscoe had hit a curb and struck multiple parked cars while behind the wheel of a Nissan Quest. Briscoe, a 36 year-old from Fremont, was babysitting at the time and her own four children were in school. Officers arrived at the school, learned Briscoe had already left, and, around the same time, received a report of a car crash 1.5 miles from the school. At the next scene, witnesses reported a woman driving a Quest had been proceeding north on Blascow Road near Stevenson Boulevard when she rear-ended an Infinity, ran a red traffic signal, and broadsided a Camry. While neither of the other drivers was injured, police confirmed Briscoe was the driver and she had seemed impaired. Additionally, there was a 3 year-old in Briscoe’s vehicle. The child was seat-belted, but not seated in a car seat. Briscoe was arrested on child endangerment and suspicion of driving under the influence. Briscoe’s own children have been placed in the Department of Children and Families’ care. 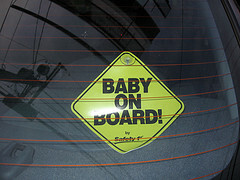 The Center for Disease Control reports that 1,210 children aged 0 to 14 years perished in traffic incidents in 2010. Of those deaths, 17% or 211 fatalities involved a driver impaired by alcohol. Narrowing this further, over half of those 211 child deaths (131 or 61%) involved a passenger riding with the impaired driver. California law recognizes the seriousness of driving impaired with a minor in the vehicle. Section 23572 of the Vehicle Code provides an Enhanced Penalty for driver’s convicted of Driving Under the Influence with a child under 14 in the vehicle. The enhancements can add between 48 hours and 90 days of imprisonment, a punishment that may not be stayed, on top of the charges for the drunk driving alone. As in the Briscoe case, courts have also applied California’s Child Endangerment Law to impaired drivers who had a minor child in the vehicle. Conviction under this law can lead to up to one year in county jail or a sentence of 2, 4, or 6 years in state prison. Civil judges and juries also take these violations very seriously, recognizing that children may not be able to object to getting into a car with an impaired adult. We cannot imagine the terror of learning that a babysitter or other person whom you had entrusted with your child’s care had violated your trust in such a horrific manner. If someone else drove while intoxicated with your child(ren) in the vehicle and your child(ren) was injured or killed, please contact our Sacramento child passenger lawyer. Attorney Greg Brod and our entire legal team will work hard to get you justice and the compensation you are due.